Full moons are often associated with tides, insanity and creatures like werewolves, but it turns out they’re also good for brewing beer. 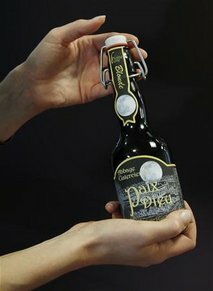 In Peruwelz, a small, sleepy town in southern Belgium, a family-owned brewery has produced its first batch of specialist beer brewed by the light of a full autumnal moon. It isn’t so much a nod to mythology as a recognition of nature’s impact on the science of brewing.